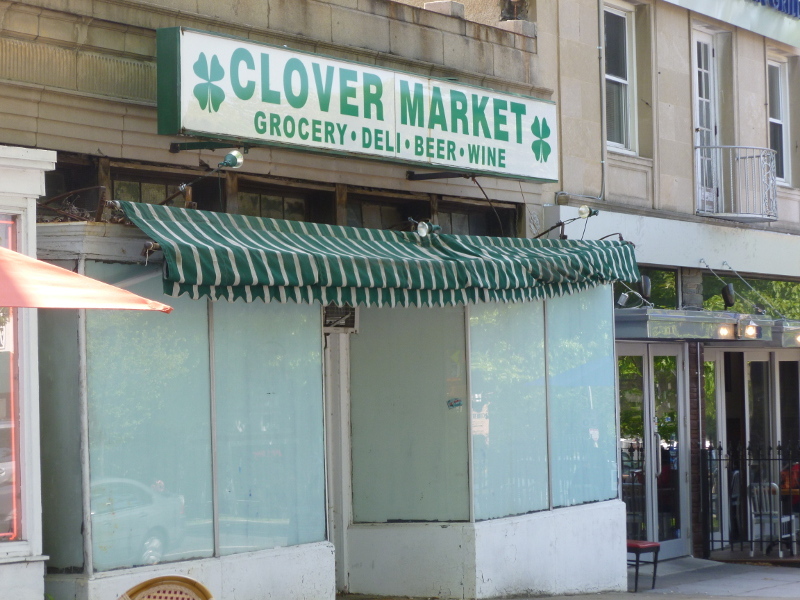 On Connecticut Avenue between Nebraska and Fessenden, across the street from Marvelous Market and Politics & Prose, there was a lesser known convenience store called Clover Market. The store recently shut its doors for good, but many residents of the Forest Hills and Chevy Chase neighborhoods will not soon forget it. I worked at Clover for three-plus years back when it was run by Joseph Kang. Before that, a man named Sam owned it and, as I’ve been told, he and his butcher Jim were a huge draw, much like the French-style oven of Marvelous Market and the amazing selection of books and series of great visiting authors at P&P. For Joe, Clover Market was all about the people. To become part of such a strong community, Joe had to put in time and work, and so he did. He babysat for customers, became part of neighborhood watch, acted as a local news hub, delivered groceries to the elderly, and even reported back to parents when their kids engaged in certain behavior that they might like to know about. But of course, he was a friend of neighborhood kids, too. When Deal Junior High was clamping down and not allowing kids to stop anywhere on their way home from school, Joe came to our rescue. A school monitor came looking for kids breaking the new rule, so Joe let us leave out the back of the store. The dangers of sugar to a child are surely outweighed by having such a friend. Over time, he became a part of the neighborhood. He would stock some things that lost him money because customers wanted them. He never went on vacation or even closed the store for more than a single day during his entire time at Clover, and opened as early as his earliest customers wanted their Post, including my father. His favorite part of the job was that neighbors and kids would wave to him as they passed, or stop in to say hello. Summer was always a little lonelier because many customers were away on vacation. The neighborhood embraced him too. He still gets invited every year to the Fessenden Street Block Party. Many places are gone from the block since Joe was there, like the Thai Room, Higgers, Uptown Cathay, and surely many more before my time and memory. Nowadays, there are some wonderful new businesses there: Terasol, a delightful café and art studio; Jake’s restaurant and bar; Comet, a pizzeria with ping pong tables and a popular hangout; and the delicious outdoors-themed Buck’s. He also watched neighborhood kids grow into adults, go to college, get married and have their own kids. Some of his closest customers were those who had been in the neighborhood for decades. One of his elderly delivery customers became like a grandmother to him. He would bring her anything she needed, even if it was just a half gallon of milk. Before she died, she invited Joe to come see her. “Thank you for taking care of me,” she said to him, and gave him three packages: a leather jacket, a pair of shoes and a Rolex watch. They said their goodbyes through tears. Joe believes strongly that what goes around comes around, and is deeply thankful to everyone who took care of him while he was at Clover. I have plenty of my own Joe stories from when I worked there. He would sometimes give me sandwiches gratis from the store’s deli for lunch. One such time, my mouth caught fire and I began to sweat — he’d slipped some jalapeños in there to mess with me. He said I handled it much better than one of the previous kids he’d hired, and I was proud of that. He had many stories about his time in the South Korean military, like when he was stationed on an island near North Korea in outposts in the freezing cold, sometimes below zero, with only an M-60 ammo container full of hot water to warm him. There was the time when, as a machine gunner on a speedboat coastal patrol, a firefight broke out and his ship sunk a North Korean vessel. They were rewarded with boxes of oranges. Joe now lives in Maryland, where he’s earned his master’s license and is working on becoming an HVAC contractor. He tells me that he would love to have a store like Clover Market in his neighborhood in Maryland, but he doesn’t think there is one. 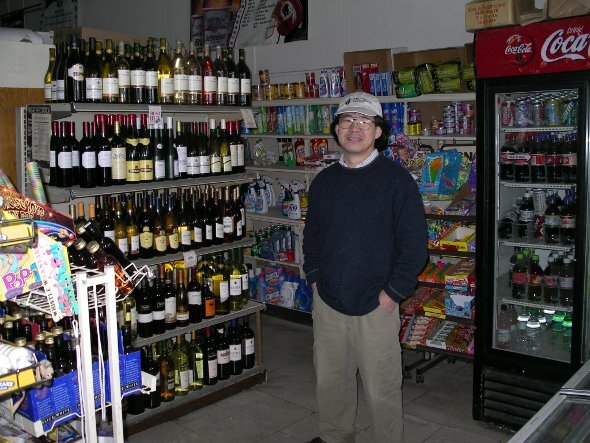 At Clover, Joe knew that for any true neighborhood store the product, while important, is ultimately beside the point. It’s who’s selling it to you that matters. While Joe was there, you knew he would never be on vacation. And if you needed someone to help, you knew one place you could go. There was a time before Jo when Politics & Prose was housed next door to Clover Market. And when P&P moved accross the street, they opened a second hand book store in their former shop. 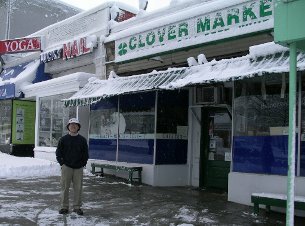 Clover Market has a much longer history than suggested in this article. It was an established neighborhood institution when we moved here in 1984. When we moved here in 1975, Sam (who’s mentioned in the article) owned Clover. Someone else owned it very briefly. Then Joe bought it in 1989. It would be really interesting to hear about its history before 1975 if anyone remembers. In the late sixties and early to mid seventies there was a store north of clover market that was a deli. I think It had a striped awning. Does anyone recall the name of that deli? I cannot find it anywhere. It was Pierre-Alber in the ‘70’s; became Mr. L’s in 1980.